Reliable removal companies can be hard to come by and that is why we are the most popular firm for people moving to Upton Park. Professional and cost-effective, our removal company is head and shoulders above the rest. If you’re looking for excellent removal services in the local area, remember to call Moving Service now. Our professional team can manage all sorts of large and small moves without any soaring costs or hidden charges. Our classic services also include everyday van hire and man and van packages, giving you the flexibility you need to manage your move. With the lowest prices guaranteed, you won’t be disappointed with our deals. So what are you waiting for! Put our number in your phone now – 020 8746 4402! Is There Much To Do In The Local Area? Upton Park is an area in the east of London which is part of the Borough of Newham. With links to the District and Hammersmith and City tube lines, it is a relatively well-connected part of the city. Well-known for its links to the West Ham United Football Team, it is a built-up area with lower than average house prices. Despite this, property prices have been increasing in some parts of the district. The local area has a number of independent shops and market stalls selling a wide range of Asian food produce. 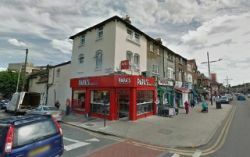 Larger shopping areas can also be found in some of the neighbouring areas which include Canning Town, Little Ilford and West Ham. Why We’re The Number One Firm In Upton Park! • Extended opening hours and a seven day moving service. When it comes to moving to Upton Park, E13 there is no better company which you can turn to. Our movers are fully-trained and experienced workers who are dedicated to providing you with an excellent customer service. Arriving on time and working quickly and efficiently, our team will never leave you waiting around. If you need help with any last minute packing all you need to do is ask – all of our team members are also expert packers who can help you with those fragile items or large pieces of furniture. We guarantee that if you hire us we will have every last little detail taken of. So if you don’t want to be left stressing out on your moving day, call us on 020 8746 4402 today! Can We Offer You A Good Deal? Removals to E13 district can be expensive, especially if you hire a second-rate firm. That is why Moving Service are the number one firm which you can turn to as we offer the best value deals in E6 region. Saving you money is what we do best so don’t settle for anything less. We can give you a free quote over the phone any day of the week with no obligation required. Remember that our deals get snapped up quickly, so it’s best to get your move booked in now. Our customer services team are available on 020 8746 4402 and can offer you free and impartial advice on all of our removal services.